Each steel and detinning company has its own specifications for acceptable tin coated and tin free steel can scrap. The following are general specifications for the forms normally purchased. 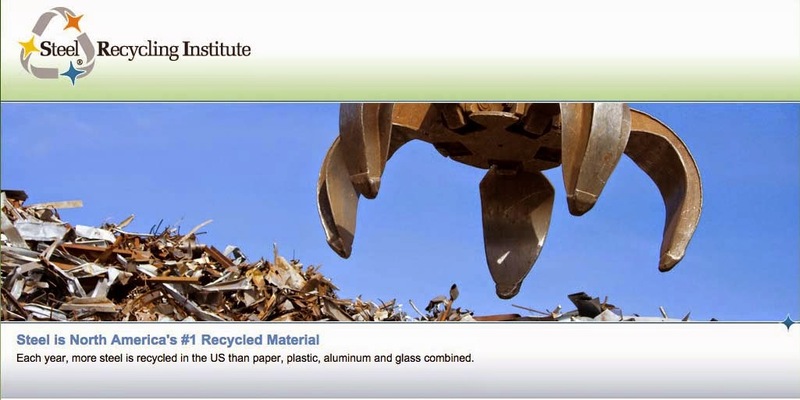 In each category, the steel can scrap may include aluminum lids, but not nonmetallics, all-aluminum cans or other nonferrous metals except those used in can construction. For general reference, see ASTM E-702-79, ASTM #-701-80, and ASTM E-1134-86. In all cases, it is recommended that recyclers contact the end market buyers directly to determine their exact specifications. These are end user specifications and may not apply for sale of steel cans to intermediate processors, who generally process cans to these specifications for sale to end markets. Baled can scrap for steel companies should be 2’X2’X2’ (or 3’) in size, with a density of 75 to 80 pounds per cubic foot. Bale integrity must be maintained during shipping and mill magnetic handling. Cans may be baled without removal of paper labels, but bales must be free of nonmetallic materials such as water, plastic, wood debris, etc. Densified (biscuit) an scrap for steel companies should be stacked and banded into bundles, with a density of 75 to 80 ponds per cubic foot. Bundle weight is subject to negotiation. Baled can scrap for detinning companies may be of varied dimensions. Density should be nominally 30 pounds per cubic foot, with higher density subject to negotiation. Wire or other steel banding is acceptable. Loose cans (whole or flattened) are acceptable, subject to negotiation. Shredded cans (loose or baled) are acceptable, subject to negotiation.